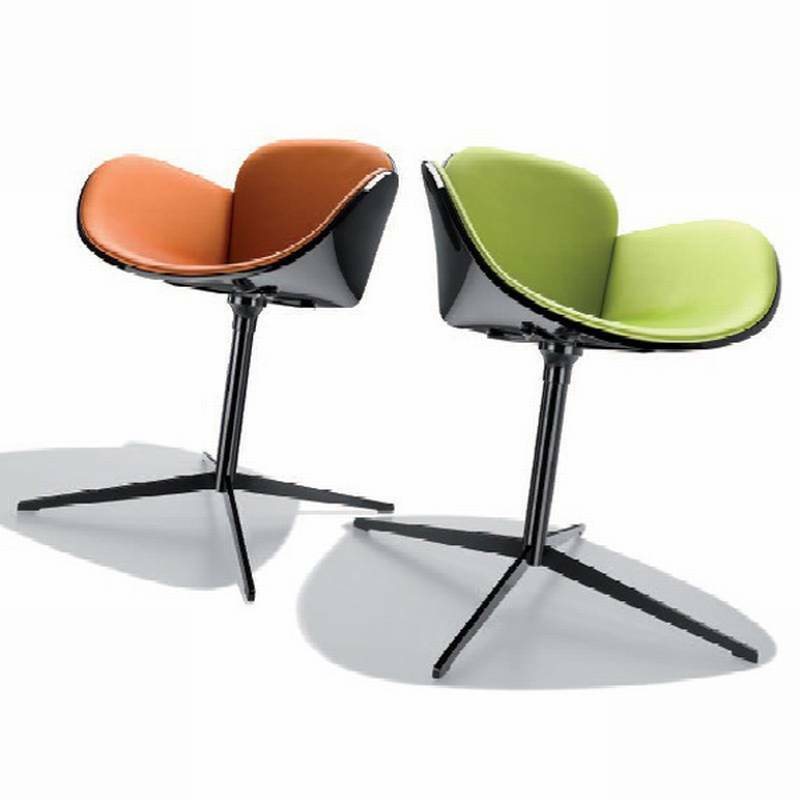 Description Armchair with a glossy painted rigid polyurethane shell (black or white). The front of the shell is upholstered in a variety of leather colours (see corresponding samples below for all options). Steel base painted to match the shell. Also available in fabric (see related products below).